News from CeBIT are coming in as today Polish Startup Brix.io launches new WYSIWYG website prototyping tool. Unlike Latvian Froont that is intended for designers, Brix.io is a cloud-based service is designed for the web developers to help them work together within the same environment, prototyping responsive websites as well as web and mobile apps. 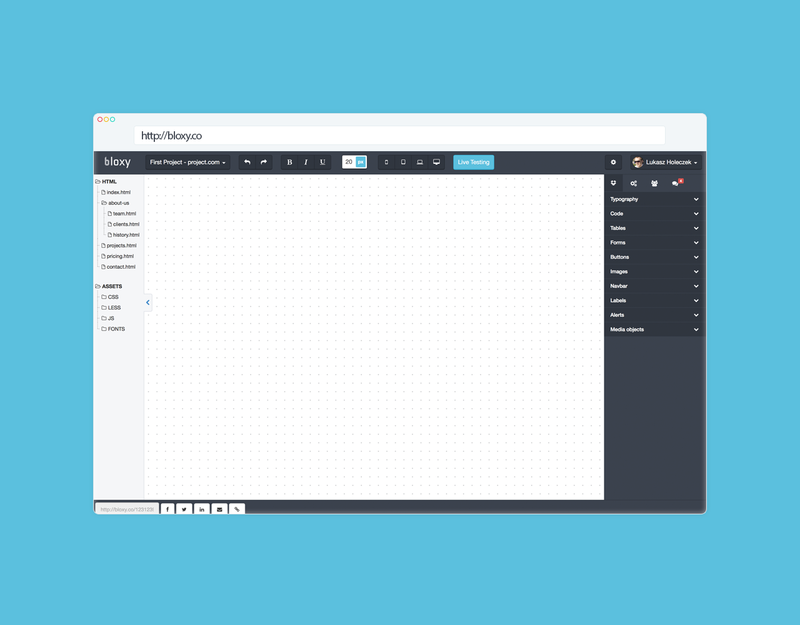 The set of bricks that help prototype quickly include buttons, forms, footers and other elements of website building blocks. The tool also provides full support for the latest Twitter bootstrap framework 3.1.1, project room and a communication functionality that helps website builders communicate with their clients (a problem that Lithuanian TrackDuck is addressing). The founder of Brix.io Łukasz Holeczek has previously build Bootstrapmaster that offers responsive website themes. It seems logical that the website building startups come from Eastern Europe. The region’s outsourcing industry has many players in web design and development space, and just like website builders were popular a couple of years back (think Estonian Edicy, Croatian Webiny, Polish MyWebzz and many others), the website building tools are a hot topic this year.